In a slow real estate market, it’s not unusual to see several houses for sale on the same street. Buyers have less incentive to buy today because they know increased inventory means asking prices may go down even more tomorrow. Thus, home sellers are trapped in their non-selling houses for longer. To avoid this scenario, you must make your home stand out from the competition. Home staging offers a way to end this costly inconvenience because staged homes have been proven to sell faster. A home stager is a light at the end of the tunnel for a desperate home seller being told constantly by their real estate agent that they need to lower their price to attract buyers. If a home doesn’t show well, often these price reductions, which eat right into an owner’s equity, don’t have the desired effect anyway. The house continues to sit on the market, while the anxious seller copes with the lack of interest in his listing and contemplates how much money he’ll lose when the house finally does sell. 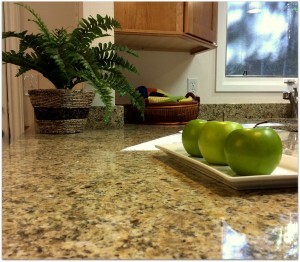 An investment in home staging always costs less than another price reduction, which is money right out of your pocket. In a hot market, buyers usually have to present unconditional offers to get the properties they want. A slower market brings a return to offers that are conditional upon the sale of a buyer’s existing home. If you’ve fallen in love with a new home but you have to sell your old one by a certain date in order to avoid nullifying your offer, staging provides a way to speed up the selling process so you won’t lose out on your dream home. There was a time when buyers and sellers were totally dependent on real estate agents. Those days are gone. Approximately 80% of prospective buyers shop online before ever calling an agent. Now that the public can access MLS listings and shop from the photos they see online, it’s even more critical for your property to show well in listing photographs. Otherwise, your agent won’t even get a request for a house showing. Staging makes all the difference in how rooms look both online and in the real world. Savvy real estate agents are recommending staging to their clients as a way to draw attention to their listings and to sell homes faster. In a slower market and a tougher economy, a growing number of home sellers want to avoid the average 6% commission they’ll have to pay their real estate agents when they sell their homes. With an increasing number of websites and services available to assist the “For Sale By Owner” (FSBO) market, this option becomes even more appealing for sellers. Home stagers can offer the support and objective eye to these sellers who need to prepare their homes and make their photos stand out online. After all, the cost of staging is small compared to the commissions they’re saving. For all these reasons and more, home stagers are a beacon of hope for beleaguered home sellers trying to get the most money when they sell and trying to sell their property as fast as possible.